Prior to joining Congress, Rep. Gosar established an impressive record as a small businessman, having owned his own dental practice in Flagstaff for 25 years. He went to college at Creighton University in Omaha, Nebraska, and later earned his Doctor of Dental Surgery (DDS) degree there. In 2001, Gosar was named the Arizona Dental Association “Dentist of the Year” and later served as their president. Rep. Gosar started trying to “Drain the Swamp” years before the slogan became popularized. With no political experience, he successfully unseated the incumbent, Ann Kirkpatrick, a career politician. She was first elected to public office in 1980 and since her loss to Gosar in 2010, got elected to Congress in a different district, then ran unsuccessfully for U.S. Senate. That is the type of culture Rep. Gosar came to Congress to change, and he has lived up to that promise. Since coming to Congress, Rep. Gosar has been a steadfast liberty warrior. With a 90 percent lifetime score from FreedomWorks, he has won five FreedomFighter awards and is well on his way to earning a sixth at the end of this year. Rep. Gosar currently holds a perfect 100 percent score on this year’s scorecard and has not scored below a 93 percent in any of the last four years. Last year, Rep. Gosar introduced the Competitive Health Insurance Reform Act, H.R. 372. In this bill, Rep. Gosar sticks to his commitment to fight special interests and career politicians by eliminating the antitrust exemption that the health insurance industry gets. This would bring the industry in line with the market, lower prices, and force them to comply with the same laws with which businesses in every other industry are forced to. H.R. 372 passed the House by a vote of 416-7, and is still awaiting a vote in the Senate. Rep. Gosar has made it clear that he is not afraid of taking tough votes to defend freedom, even if it means having to cross party leadership. He opposed the reauthorization of Section 702 of the Foreign Intelligence Surveillance Act (FISA), which was ripe for abuse, and allowed for the expansion of warrantless surveillance of American citizens. He opposed the Bipartisan Budget Act, which allowed for out of control government spending. Finally, he was a firm opponent of the $1.3 trillion omnibus spending bill, which was crafted in secret, ballooned our national debt, and funded many unconstitutional projects. He was also one of the 25 patriots who took an incredibly tough vote against the rule governing the omnibus which limited debate and amendments on the legislation. There was sure to be some retribution from the establishment for doing so, but the liberty and economic security of the American people came first for Rep. Gosar. This should be the mindset of lawmakers everywhere. 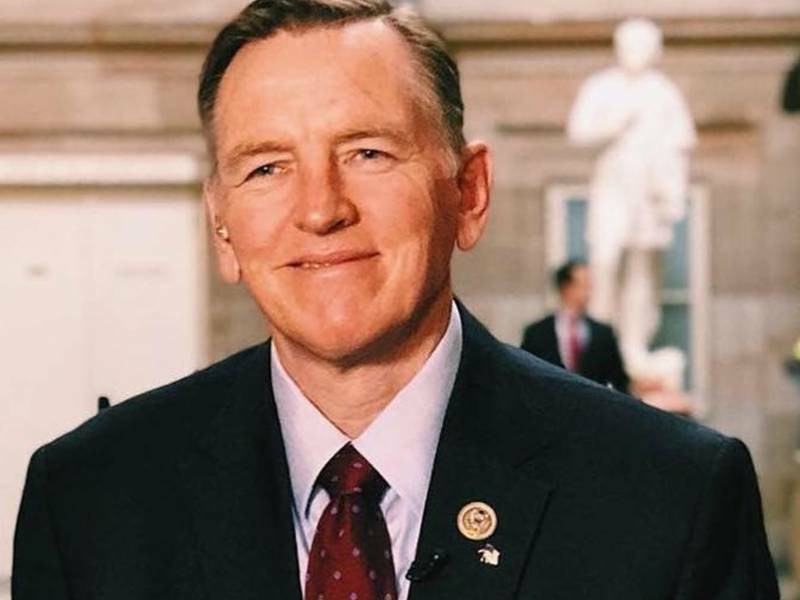 Rep. Gosar’s work in Congress also includes serving as the Chairman of the Congressional Western Caucus, which fights to restore local control over land, roll back federal regulations that harm rural Americans, and improve the quality of life in local communities. He also serves as a member of the House Freedom Caucus, and sits on the Natural Resources Committee and Committee on Oversight and Government Reform. FreedomWorks is proud to honor Rep. Paul Gosar as April’s member of the month and recognizes the invaluable contributions Rep. Gosar makes to the defense of liberty in Congress. We hope his work in Congress now and into the future will inspire others to fight the same good fight for smaller government, lower taxes, free markets, personal liberty, and the rule of law. We are grateful to Rep. Gosar, on behalf of millions of activists across the country, for consistently being a voice for freedom.